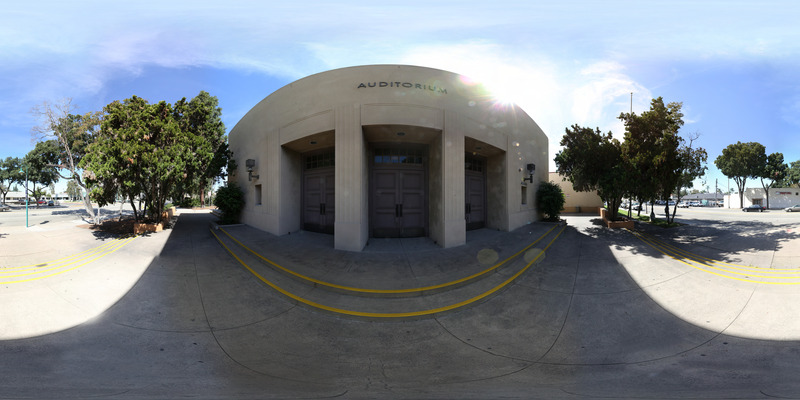 Our medium sized facility is a modified thrust theatre located on the campus of the Wilshire School of Continuing Education, adjacent to Fullerton College. 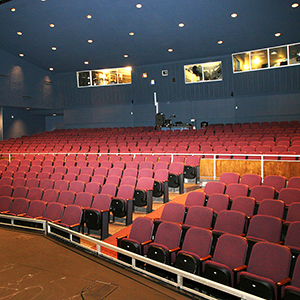 The extended thrust provides an intimate connection to the audience area, while the full stage space can be used to accommodate larger productions. 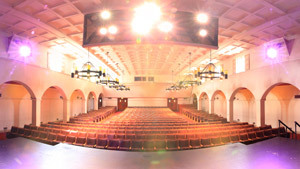 The Wilshire Auditorium houses full lighting capabilities with superb, natural acoustics for vocal performance while the sound system can handle many mixing duties. 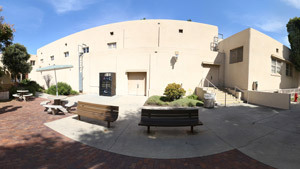 Mens and Womens Restrooms: Located inside lobby. 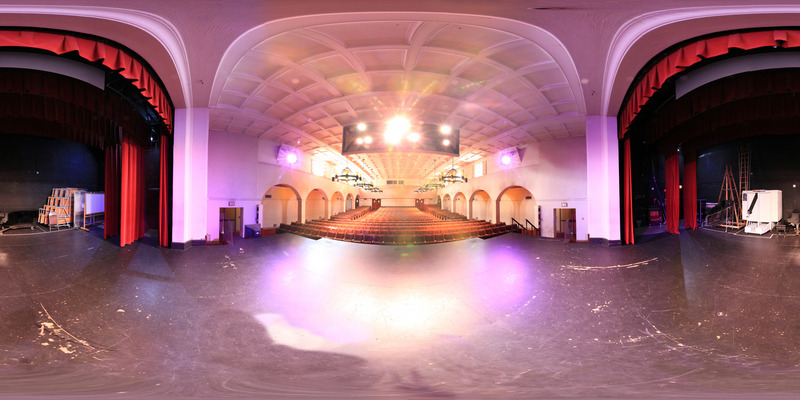 These additional areas around the Wilshire Auditorium may help round out the needs of your performers and audience. Each are subject to availability and/or additional charges. Box Office: One walk-up window. North Open Area: 20,000 square feet of exterior open area. 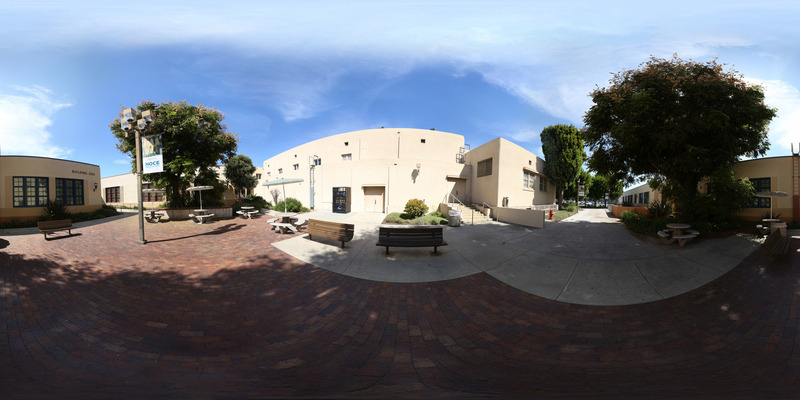 South Courtyard: 1,300 square feet courtyard with fixed benches and tables. ETC Express 48/96 lighting console with 24 channels. Over 4,000 sq. ft. provides an excellent area for an audience to wait. Tables can be easily added to serve food and beverages. 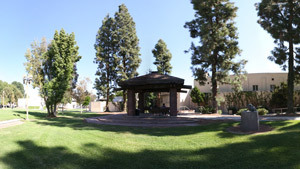 1,300 square feet courtyard located directly south of the audience area. 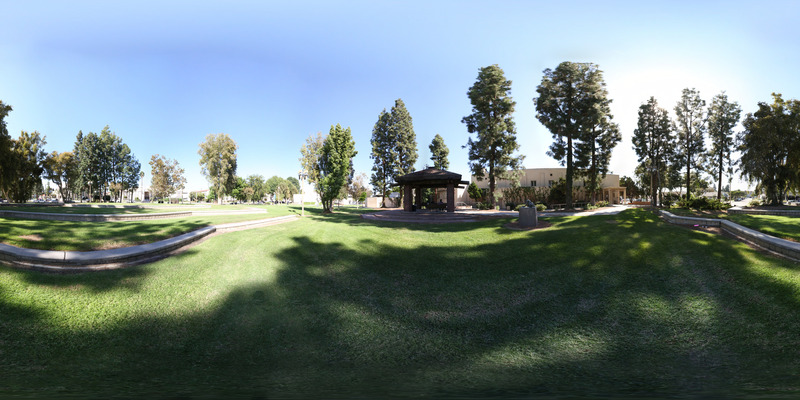 Includes several permanent tables and benches. 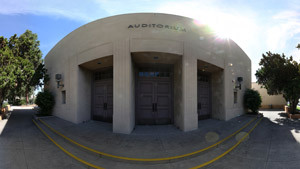 With visible access from Lemon St, the auditorium entrance area provides approximately 1,000 square feet. 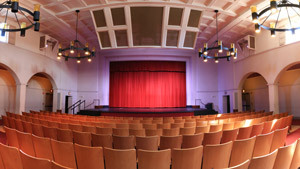 Lobby ties the audiences areas surrounding the theatre. It provides room for two folding tables. 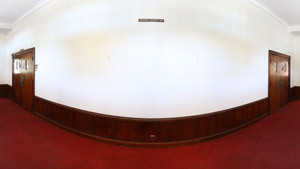 Upstage of the main curtain provides a performance area 45 feet wide by 32 feet deep. Looking for a small-sized facility? 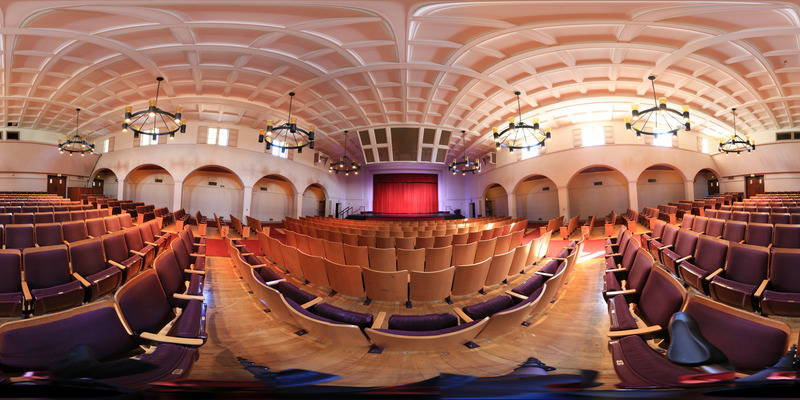 The Recital Hall can accommodate up to 150 seats and hosts three pianos.